Animals are amazing. I never tire of watching my two cats, and if I pay attention, I’ll get their lesson. Play nice, grooming is important, play every day, there’s nothing like an afternoon “cat nap” to recharge…life stuff. But birds? Before September 2012, never noticed or gave them a second thought. When I was given the opportunity to take a Lindblad Expedition to Galapagos last September, I thought to myself , “Great! But won’t I get bored looking at birds every day?” Little did I know… this trip would change me. It opened my eyes to the true beauty of nature and wildlife. Pure. Fearless. Amazing. Watching the blue-footed booby mating dance and snorkeling with playful sea lions rank right up there among the best experiences of my life. 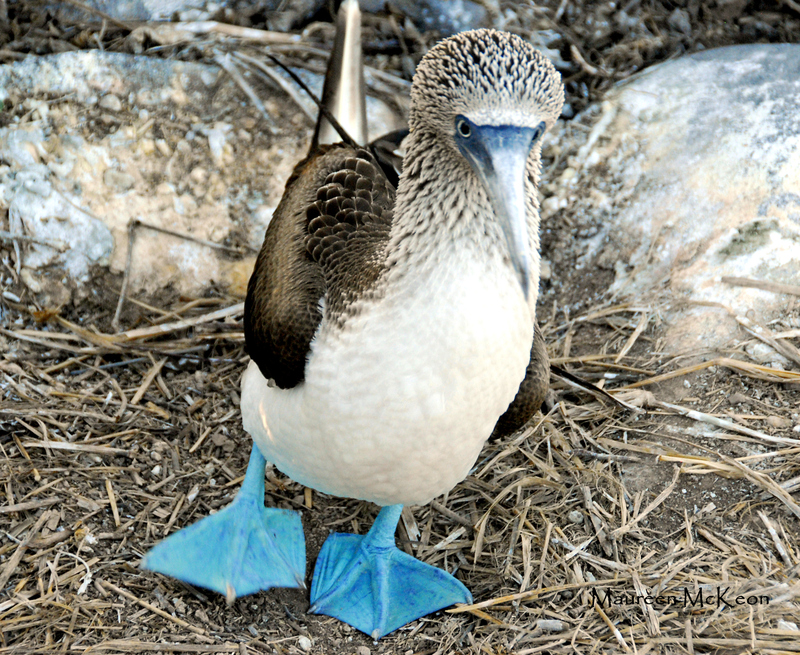 The Galapagos blue footed booby dance. And it also ignited my passion for photography. Luckily, my friend Ralph let me “borrow” his Nikon to use in Galapagos. Oh, how I wish I had read the manual first! But I am blessed to live in South Florida, where wetlands, nature preserves and the vast wilderness of the Everglades are home to countless species of birds and animals. 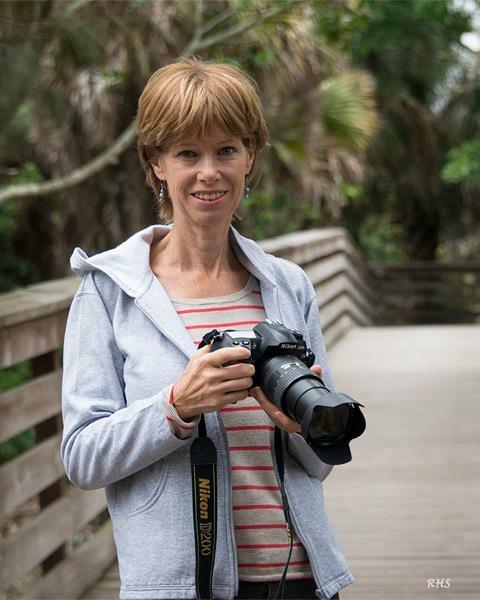 I’ve also connected with a wonderful community of wildlife photographers, who are more than willing to share their vast knowledge of photography and bird behavior. 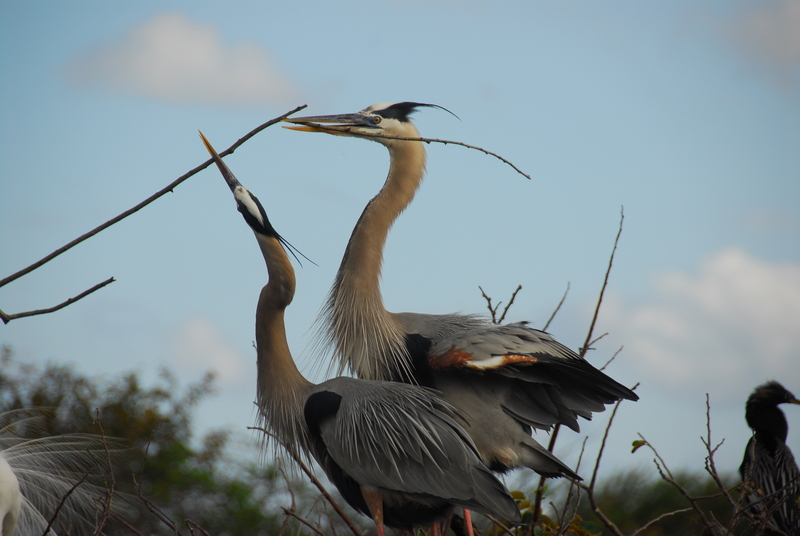 A pair of Great Blue Herons building a nest. Nothing brings me more joy than traveling to one of our nearby “hot spots” and watching my favorite birds – great blue herons, roseate spoonbills, purple gallinules, green herons, great white egrets, black-necked stilts…oh, let’s face it – they’re all my favorites! Catching them in action – fishing, building a nest, feeding their chicks, flying overhead – priceless! While sorting through my photos, I often stop to reflect on what I’ve captured. In that moment, through the lens, these birds and animals have something to teach us. I hope you enjoy the photos, and also get value from their life lessons! Way to go Maureen, Love that you are doing this and thank you for being an inspiration to me durning the times I have gone out on limbs.. Thanks, Teresa. You’ve been for me, too. Maureen, I just stumbled upon your blog. How exciting it is to read about your visit to Galapagos! I am enjoying surfing on your site here!! !